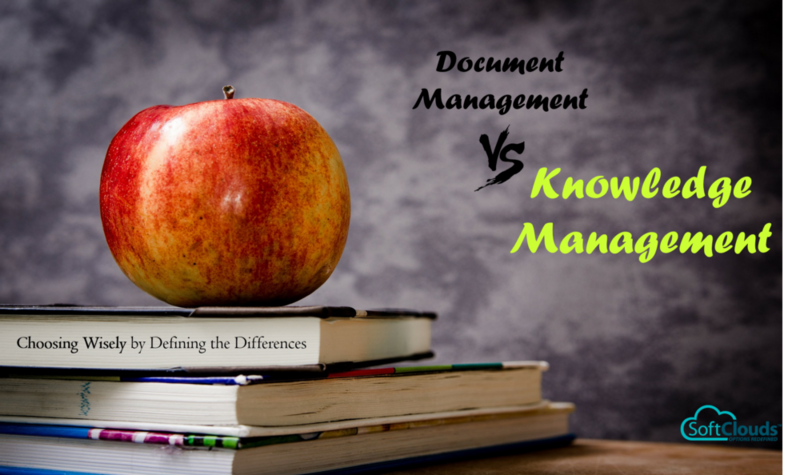 What are the important distinctions between knowledge management (KM) and document management (DM) systems? It's a common question posed by users who are seeking the most efficient software to streamline their internal systems. 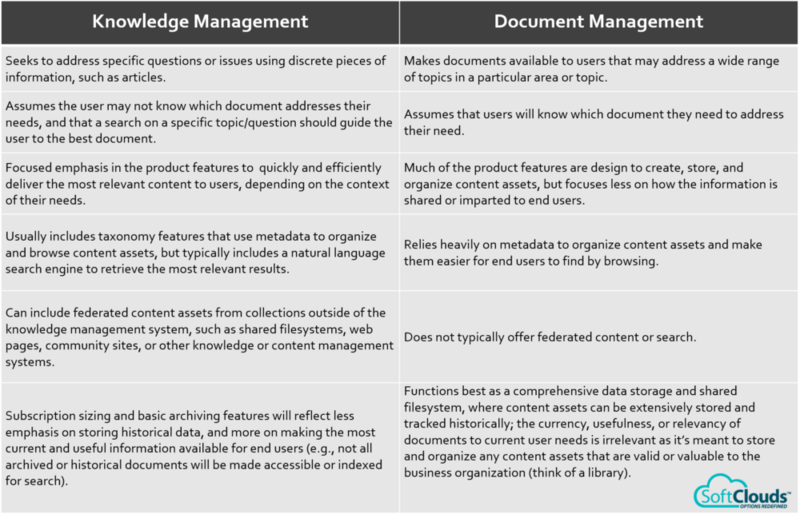 Often the line between KM and DM (also known as content management) is clear, but with some products the delineations are not so obvious and can include elements of both. Properly defining these terms is the first step to narrowing choices and implementing an effective, cost-saving system. As a prominent author once wrote, "An undefined problem has an infinite number of solutions." Why the differences matter ? The issue of whether a particular software is optimal for KM or DM doesn't normally get much attention until an organization starts shopping for a technology tool to manage information. More specifically, the issue tends to emerge when an organization begins the search with only a vague list of high-level requirements, such as "Our agents need the ability to search for documents," or "We need to enable our users to quickly and more accurately find the right articles." The problem with these kinds of statements is that they fail to provide key details that are needed to focus the search and differentiate between the two categories. What is the impact of not knowing or caring about the differences? Too commonly, the consequences of not properly defining which product is needed do not appear until much later in the process, after an organization has purchased, implemented, and used the product for a significant period of time. By then, the slow and agonizing death of a once-promising product has begun, and the management team desperately sets out on another search for a system appropriate to the needs of the organization. Having implemented the tool without a clear understanding of what the business user needs, and the product's true capabilities and limitations, the organization will soon experience a cascade of failures. It begins with complaints from end-users such as, "The search doesn't work," and soon it becomes obvious to everyone that the tool will never achieve the goals that were established at the onset. Additionally, where there is smoke, there usually follows a series of fires that owners of the new technology find themselves facing, being left with the unpleasant task of reporting weak ROI metrics to members of leadership who are demanding to know why they are not able to see positive ROI for the product. Owners are left scratching their heads, trying their best to justify why the ROI just isn't there yet, and unsure about where to start searching for the answer. The final nail in the coffin is when the organization slowly realizes that the weak ROI metrics cannot be explained away by happenstance or coincidences, but rather by a misunderstanding of the differences between KM and DM. At this point, after it has become obvious that the investment was misplaced, the best outcome is for an organization to cut its losses, learn from the experience and spend some time reflecting on what its true needs are, so that the next product may be chosen wisely. Without this process, the organization will end up with a similar result at the end of yet another costly adventure. Does your organization have first-hand experience learning the distinctions between KM and DM? If so, did you discover the differences the hard way, after implementation of an inadequate system, or did you research the key points of difference at the beginning of the process, before purchasing a product? 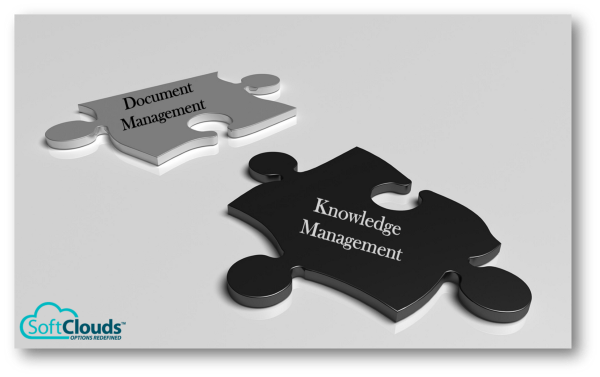 What advice would you have for others who are seeking effective knowledge or document management solutions to streamline internal operations? Click HERE Write below in the comments box to let us know your comments/opinions or email us at "marking-at-softclouds-dot-com"
This post was written by Grace Kim — Customer Success Manager at SoftClouds. If you have any questions, or would like to find out more about SoftClouds and our extensive experience with Oracle Knowledge solutions, you can reach us at "marketing-at-softclouds-dot-com".